Brings Traction Control technology from the highest levels of professional racing to all track-day riders and racers. Note: For Closed Race Course Use Only. !electronics, bazazz, bazzazz, quick, shifter, qs4, powercommander, power, commander, 13, 14, 15, 16, 17, 18, 19, 20, 2013, 2014, 2015, 2016, 2017, 2018, 2019, 2020! 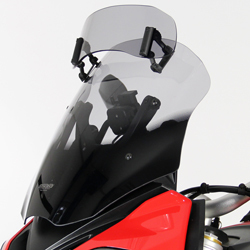 Handlebar-Mounted, Dual-Function Switch for easy on-the-fly Traction Control/TC adjustments and Map Switching. Please note this is for use with the Z-Fi TC only. Having the option to adjust the tc on the fly is great. The 2 stage map switch I use stock setting one 1 and a nice tuned map on 2. You could set a map for regular fuel on 1 and super unleaded on 2. A wet setting or a dry setting the possibilities are endless. This vivid Blue LED light illuminates the instant Traction Control detects your bike is wheelspinning. Because the Bazzaz TC is designed to be so non-intrusively smooth for natural riding feel and user throttle control - i.e. it's so smooth many riders aren't aware is it actually operating - this light is not only helpful in letting you know when and where traction control is being actuated, but has proved to be a massive assistance for all riders who wish to fine-tune their TC settings (via the optional Handlebar Dial/Switch and/or via the Bazzaz software). !quote, electronics, m842, bazazz, bazzazz! The bazzaz tc system is so smooth if it wasn't for the light most the time you wouldn't know it was active. This optional Z-AFM kit consists of a Wide-Band Air/Fuel Lambda sensor and Amplifier Box that plugs into the any of the Z-Fi products to enable self-mapping of your bike without the time or cost of a custom dyno tune. Self-mapping means that as you actually ride your bike (or, alternatively, run it on a dynamometer) the Z-Fi automatically calculates the required fuel adjustment at each RPM and Throttle Position to reach the user-selectable desired target Air/Fuel Ratio. The Z-Fi Mapper software enables you to review the results of the self-mapping function the user can then either apply all of the suggested adjustments or just a certain range with a few simple clicks of the mouse. Please note the kit comes with all of the required hardware, but may require modification of your exhaust pipe to accept the Industry Standard 18 x 1.5 mm threaded Air/Fuel Lambda Sensor fitting. Many bikes, however, already have the required Lambda sensor threaded exhaust boss as standard and aftermarket manufacturers (like Akrapovic and Yoshimura) make versions of their pipes with the sensor fitting already built in. 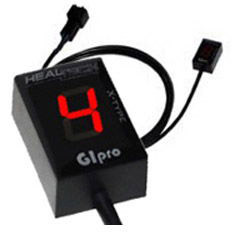 Utilises MotoGP strain gauge technology - no moving parts to break or wear out. *Please note, this item requires a Bazzaz system. !quote, electronics, bazazz, bazzazz, quickshifter, quickshifters, quick, shifter, quick-shifter, spare!